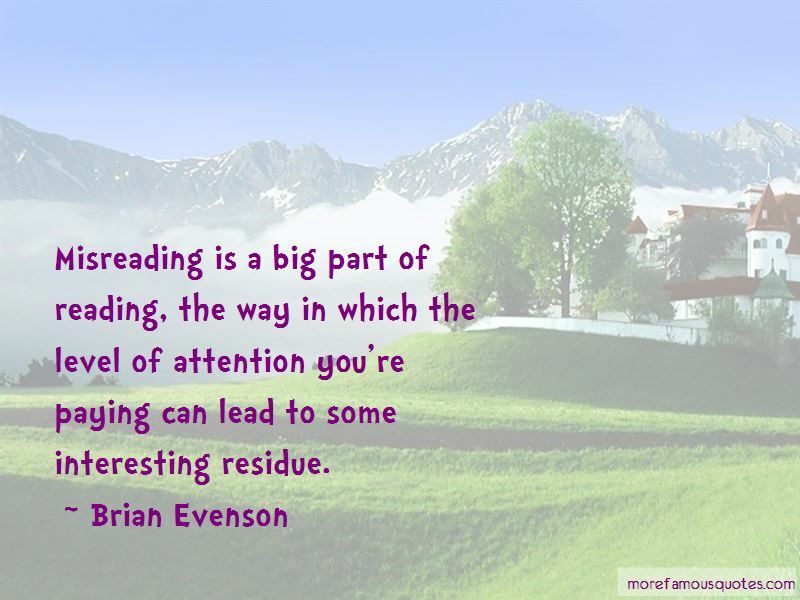 Enjoy the top 28 famous quotes, sayings and quotations by Brian Evenson. There is, in every event, whether lived or told, always a hole or a gap, often more than one. If we allow ourselves to get caught in it, we find it opening onto a void that, once we have slipped into it, we can never escape. Anything can happen: anything. Or nothing. Who can say? The world, monstrous, is made that way, and in the end consumes us all. Who am I, administrated or no, to have the audacity to survive it? “I am your friend," Gous said. "I drank with you, didn't I?" Kline tried to nod but nothing happened. He could see the wrappings around Gous' hand staining with blood. With every disaster, I have come to believe for my own personal reasons, comes a compensation, a certain balancing of the accounts - not spread evenly about but clumped here and there, of benefit to very few. I'm pretty instinctual when I write, and I really like to get to a point where I'm writing where I don't know what's going to happen next. 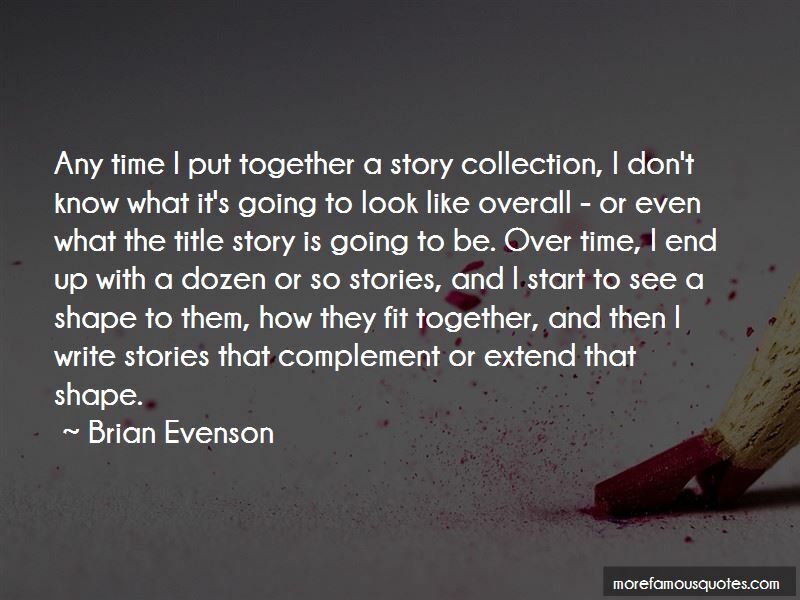 Usually when I get to that point, something will happen that I find intriguing or interesting, or that will push the fiction in a way that I really like. I don't always know what's going to go on in terms of the mood of the story. Sometimes I start with the mood, but sometimes I just try to work toward discovering it. But I do think often there's a mood or unsettling quality, in which the reality of the world seems to be taken away, that I really love, and it's something that I almost always unconsciously move toward. 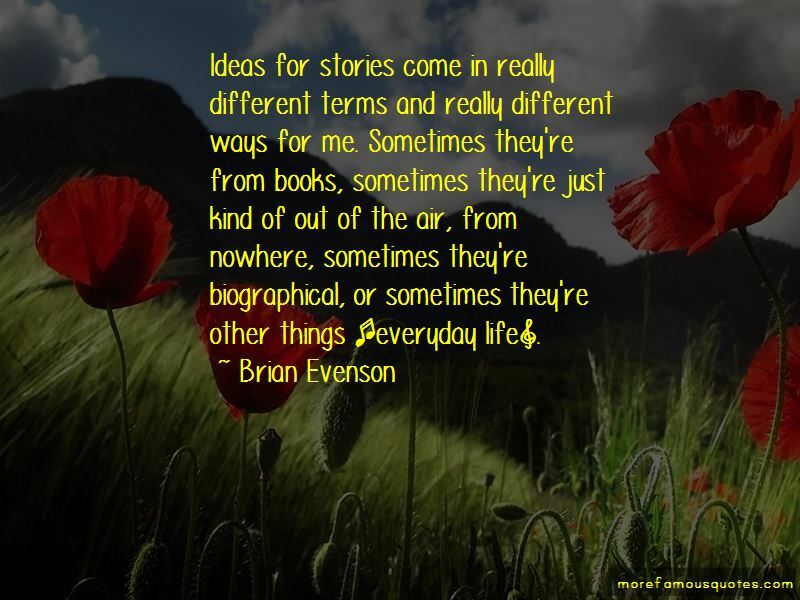 Want to see more pictures of Brian Evenson quotes? 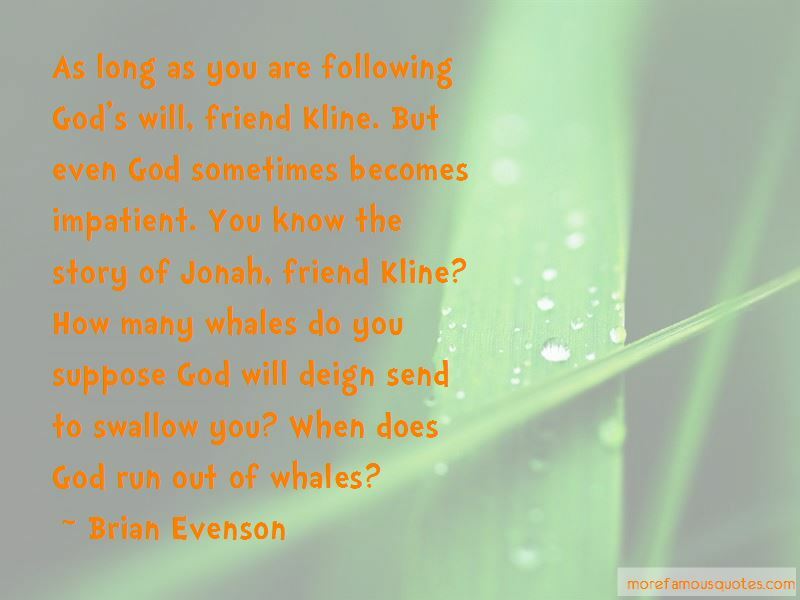 Click on image of Brian Evenson quotes to view full size.